The Genocide Studies Program deeply mourns the passing of Dr. Dori Laub. A co-founder of the Fortunoff Video Archive for Holocaust Testimonies and of the Genocide Studies Program, Dr. Laub served as the GSP’s deputy director. His work with the Fortunoff Archive – in establishing the archive, in taping testimonies, and in analyzing the testimonies – changed the way we understand the trauma of Holocaust survivors. 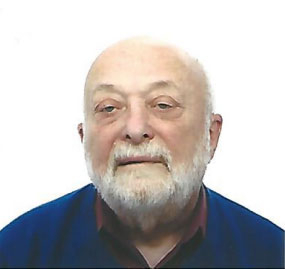 Dr. Laub was a prolific scholar, authoring and co-authoring over 100 academic articles, as well as the book Testimony: crises of witnessing in literature, psychoanalysis, and history (with Shoshana Felman; Routledge, 1992). He co-edited, with Andreas Hamburger, of the 2017 volume Psychoanalysis and holocaust testimony: unwanted memories of social trauma (Routledge). He also maintained an active psychiatry practice and was an engaged member of the GSP community until the end of his life.